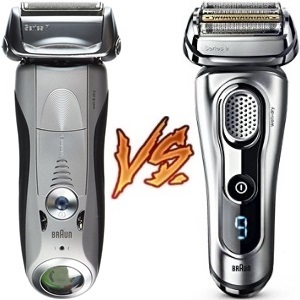 Braun Series 7 vs Series 9: Is It Worth Upgrading? 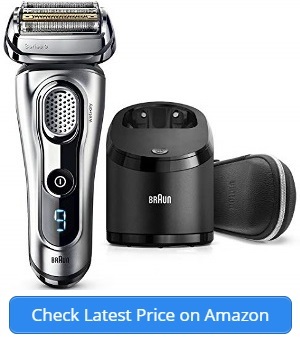 Braun is a leader in the shaving market. In this guide, we’ll be looking at the Series 7 versus the Series 9 from the world-leading manufacturer of shavers. You might be thinking that a new series will always be better than an older model. That might not always be the case, and if it is better, you will definitely want to know why. That’s what will be covered in this comparison review. We’ll explain why one version is better than the other as well as examples of why that’s the case. 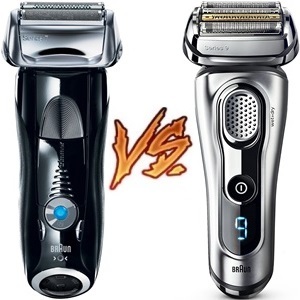 This will provide answers to the debate of whether the Series 7 or the Series 9 is the best overall in terms of shavers. The company produces foil type shavers for men, and in this comparison, we’ll be covering the shaving heads, interface, battery, and accessories available with each model. The Series 7 790cc is an older model from Braun. It includes flexible cutting elements on a pivoting head. The foil shaver moves with your skin to stay in contact with its curves. There are 3 shaving modes to personalize your shave. The 790cc has an 8-direction shaving head. There are floating heads that move independently of each other. With 3 heads, that means means each cutting element moves right and left, which equals 6 movements. The entire shaver moves 40 degrees in two directions. That gives it 8D movement. The Braun Series 9 9290cc is one of the newer models. There are 5 shaving elements behind the SkinGuard that move independently of each other, too. With the same concept in mind as the Series 7, the Series 9 brought 10-D movement to their new shavers. There are 4 shaving elements moving in two directions, and the entire shaver moving right and left. The Series 9 has Sonic and AutoSense Technology, too. The two shavers have a few things in common. They come with advanced cleaning and charging stations. Your shavers will always feel like brand new every day. The two shavers also have a flexible shaving system, but as mentioned above, the 790cc has 3 foil elements. The 9290cc has 4 of them. 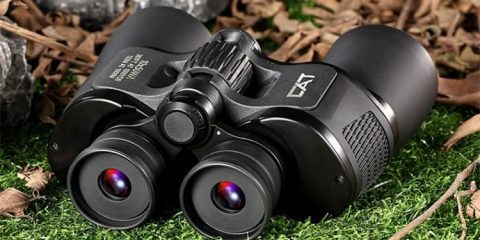 The 790cc and the 9290cc has AutoSense and Sonic Technology. It’ll adapt itself intuitively to the length of your whiskers. 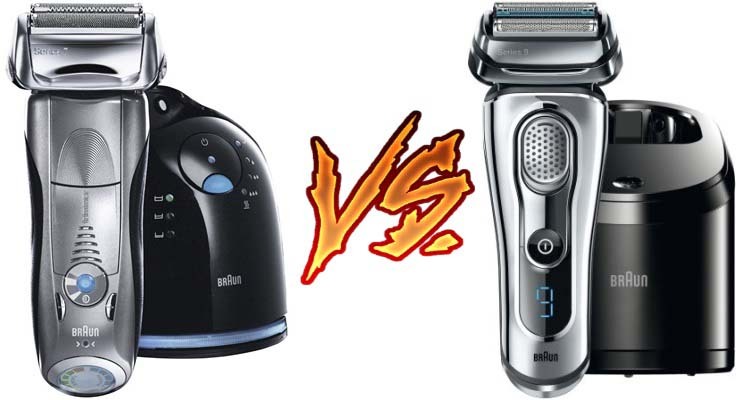 That’s a Braun features that comes with both shavers. The Series 9290cc and the Series 790cc both have popup trimmers. The difference is in where they pop from on the shaver body. The 790cc has the trimmer on the side while the 9290cc has the trimmer popping out of the top. The 9290 trims long beard hair beautifully. While you’re shaving around your hair, you can easily trim your beard to keep it looking smart and dapper. The biggest difference between the 790cc and the 9290cc is the ability to shave wet or dry. The 790cc isn’t capable of providing a wet shave. This severely limits you in the morning. The 9290cc is waterproof up to 5 meters. You can use it in the shower and clean it quick by rinsing it under a faucet. 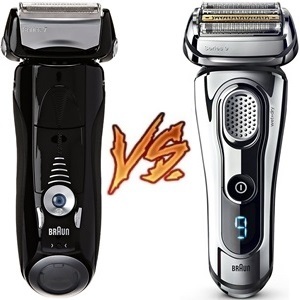 Overall, the Braun 9290cc is a superior shaver in terms of wet/dry shaving, cleaning station, and accessories. 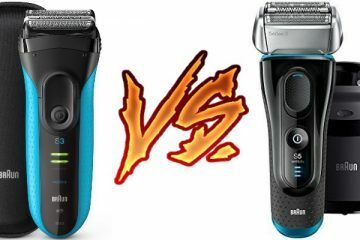 Let’s be honest here as I experienced both of the shavers, braun 9290cc model definitely has some great features but if you compare both of the shavers in terms of cost versus features then braun 7 790cc series probably one of the best shavers if not the best one. The 760cc has an ActiveLift trimmer that will direct and lift flat hairs, so they can be cut. This is especially important in the neck and chin area where hairs can grow in different directions. The shaver has Sonic Technology to automatically increase power in areas where your beard grows thicker. It has 5 battery levels, so you know when it’s time to charge the shaver. The middle trimmer is titanium coated and an improvement over the Series 7 ActiveLift. The 9293s is a sleeker shaver with a silver case and LED display. It’ll show you the current battery status, so you’ll know when it’s time to charge. The 9293s has the option of a quick charge. It’s a 5 minute charge that will give you one shave. In case you forgot to toss your shaver on the charging station. There are distinct differences between the 760 and the 9293 from Braun. The shaving system is one of the biggest differences. The SyncroSonic Technology of the Series 9 reads and adapts to your beard while you’re shaving. It’ll check the density 160 times for every minute that it’s working. AutoSense tech is also reading the hairs and adjusting the power 13 times per second. It’s an advancement on the technology used in the Series 7, which doesn’t make adjustments as quickly. The shavers have much of the same technology because they’re created by the same company. The Series 9293 is more advanced, though. For every bit of tech that exists in the 7 Series, the company has expanded and improved upon it in the 9 Series. The Hyperlift Direct and Cut trimmer is available in both models, but does the job much better in the Series 9. Prior owners of the Series 7 weren’t completely satisfied with the amount of hairs that were lifted and cut, so the company made improvements. The Series 7 has no real display. The Series 9 has an LED display that will show battery status precisely as well as when the unit needs to be cleaned. There’s also a lock indicator for when you’re traveling. The Series 9 battery indicator actually shows you the minutes you have left on the 50 minutes of cordless shaving you get with each full charge. The 760 has a cleaning and charging station. That’s something not available with the 9293. The 9293 has a charging stand and the ability to be used wet or dry, which means it can be cleaned by running it under water. This is an important distinction. The 760 cleansing station is reported to be quite loud as it does its work. It needs special solution to operate efficiently, too. Many customers would rather rinse and cleanse the shaver themselves than spend extra money on cleaning solution. Overall, the 9293 shaver has more benefits than the 760, although, the cleaning station could be an extra feature that some customers want. The 740 has different shaving modes. You can choose the intense mode, normal mode, or extra sensitive mode. It has an ActiveLift System for lifting and cutting hairs that normally remain flat during shaving. This will give you a closer shave. It provides 10,000 cross-cuts per minute for each shaver head. That equals 30,000. The SyncroSonic technology of the Series 9 reads the hairs on your face and makes an intelligent decision on the mode to get it properly shaved. The HyperLift trimmer is sleeker and pulls more hairs to be cut by the cross-cutting action. There are 10,000 for each of the shaver heads, but this shaver has 40,000 total. The 740s and the 9095cc have much of the same technology except the Series 9 is more advanced than the Series 7. It’s like having a car from 2010 and one from 2018. They both have tires and a motor, but the newer model has more advanced features. It’s a sleeker, more powerful car. The same is true of the 740s versus the 9095cc. There’s an ActiveLift system on each shaver, but the 9095cc lifts more hair and cuts that hair smoothly compared to the 740. The trimmer is slimmer in the 9095cc, so that once the hair is lifted, it can be exposed to more of the cutting action from the foils on the other side. Each of the shavers has a trimmer attached. The 740s trimmer is awkwardly on the side of the shaver. That’s something to get used to if you’ve never experienced it before. You’ll need to turn the shaver to use the trimmer on sideburns or around your mustache or beard. On the 9095cc, it’s a quick lift of the trimmer over the top of the shaver itself. You end up with a trimmer that can actually keep your beard even and looking sharp. The 740s doesn’t come with a cleansing station. It comes with a small brush that can be used to clean out the shaver. It does work with wet or dry shaving, so it can be rinsed under the faucet for cleaning. The 9095cc comes with a charging and cleansing docking station. It cleanses, lubricates, and dries the shaver. Both shavers can be used in the shower. The 9095cc has more advanced features and technology as well as having a cleansing station that also dries and charges the unit. The 720s doesn’t have its own cleansing station like some of the other models. It’s a simple, pared-down shaver that performs its one job well. It’ll give you a close shave using microvibrations and ActiveLift technology. The 9295cc has advanced technology like a HyperLift and Cut Trimmer and a cleaning and charging station. 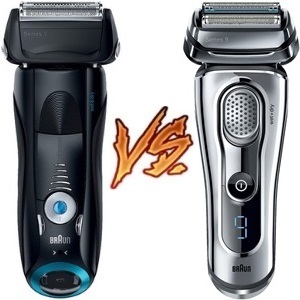 It has intuitive technology that delivers a closer shave than previous models by Braun. The 720s was one of the first models from the Series 7, so it doesn’t have many of the advancements that became available in other models in the 7 Series. It’s far below the Series 9, too. The Series 9 9295cc comes with a premium charging and cleaning station. It does everything for you. Place the shaver into the charger, and it’ll cleanse and lubricated the blades. Once their cleaned, the station will dry it and start charging. The 720s has a simple cord charger and a brush that will allow you to clean the hairs yourself. The 720s is for dry shaving only. The 9295cc can be taken into the shower for a complete wet experience that will give you a close shave unlike a dry one. It’s waterproof up to 5 meters. You can use it with your favorite shave cream or gel. The 720s doesn’t have a lock for keeping the flexible head stable. There are times when you want to keep the shaver in one position. You might be shaving along your jaw or in tight spaces like under the nose. You can press the button to lock the flexible head into one position for a precise shave. Overall, the 9295cc provides more features and advancements than the older Series 7 720s model. The Series 799cc has a cleansing station and the ability to give you a close shave. It has ActiveLift and a flexible shaving head to get into tight spots on your face. You’ll get a precise shave with this model. After your shave, you’ll be able to stick this shaver into the cleansing station to get a clean shaver with sharp blades every time. The 9260s doesn’t come with a cleansing station. It does have a charging stand and wet/dry technology. 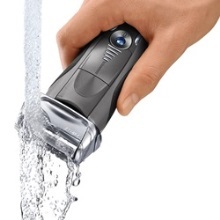 You can easily clean the shaver head under a running water faucet to remove foam and hair from the blades. The ActiveLift technology of the trimmer lifts and cuts hairs that are lying flat. That’s available in both models. The Hyperlift system with the 9260s is more advanced. The titanium structure of the lifting section and trimmer makes it smoother and resistant to corrosion. The trimmer is available for both shavers. On the 799cc, it pops out of the front. On the 9260s, it’s available on the back. 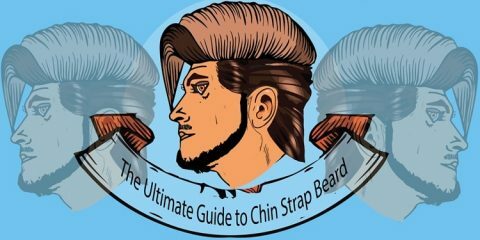 It’ll pop up to trim the edges of your beard, mustache, or sideburns. It’s a great way to trim your growing beard if you’re trying a new style, too. The 9260s and the 799cc are both good choices for precision trimmers. The Series 7 has an 8-D shaving system based on the pivoting heads. The Series 9 has a more advanced 10-D shaving system. Each of the heads pivots independently of the one next to it. You get the entire head moving at a 40 degree angle in either direction, too. The Series 7 has the bonus of having a cleansing system, but it might not be worth as much as having all the advancements that are available with the Series 9. Four-stage shaving system – The Series 9 has 4 shaving heads compared to the 3 shaving heads of the Series 7 shavers. In one stroke, you’re getting a more advanced and closer shave with the Series 9. Optimized cutting element – Each of the shavers cutting elements oscillates and gives you a close shave behind the foil. That’s important for getting the closest shave possible with an electric razor. The blades don’t actually touch the skin, so the cutting elements have to be great. Middle trimmer – The middle trimmer is meant to grab and lift hairs that are lying flat or growing wildly. Unfortunately, not every man’s facial hair grows in the same direction in all areas. The middle trimmer will lift and hold the hair for cutting. That’s a more advanced feature in the Series 9 than in the Series 7. Display – The display in the Series 9 will give details like the actual charge minutes left for before the unit has to be charged again. It’ll tell you when it needs to be cleaned as well as whether it’s locked for travel. Cleaning/charging station – The Series 9 is more apt to have a cleaning and charging station. The station itself is more advanced, too. It’ll clean, lubricate, dry, and charge the shaver while you’re out. You’ll come back to a charged shaver that’s like new. High cross-cutting actions – Each shaver gives 10,000 cross-cuts that give you a close shave. The Series 9 has 4 shavers that give you 40,000 cross-cutting actions per minute. Contour flex head – The Series 9 has 4 shaving elements. Each shaving element moves independently of the next. This gives you a total of 10 directions including the head of the shaver itself. The Series 7 only has 8 directions. Intelligent sonic technology – This feature means that each foil of the shaver provides 10,000 microvibrations. This is a faster, closer shave than other shavers in its class. The Braun shaver is the only one with this technology. Active cooling technology – When the blades are working behind the foils, they are liable to get quite warm. The Braun shavers cool the skin while shaving to ensure that you don’t end up with razor burn or irritation. Wet/dry shaving – The Series 7 and Series 9 have the ability to be used for wet or dry shaving. It’s not new technology for the Series 9, but it’s only available with some models within both Series. MicroComb – The guide on the shaver sits in the middle. With one pass, it’ll guide flat lying or long hairs into a groove that allows them to be cut easily. That’s technology that all Braun shavers have. Pivoting head – The Series 7 and 9 both have pivoting heads. This helps the shaver stay close to the skin. It will follow the curves and angles of the face like along the jaw line. That’s where most shavers miss areas. Flex cutting element – Each Braun shaver has a flexible cutting element. The elements move apart from each other. This is another way that the shaver gets a close shave. The Series 9 shavers can all be cleaned by running them under a faucet. Series 7 shavers should only be wet if they are available in a wet/dry shaver version. That will differ depending on the specific model. The Series 9 has an advanced LED display, which will give you a way to track the amount of cleaning that your shaver needs. This makes it much easier to keep it clean. A clean shaver cuts better. The cleaning and charging station available with select Series 7 and Series 9 shavers will remove all the hair and foam/gel. It’ll lubricate and dry the shaver, too. After cleaning, the same unit will charge the shaver back up to full. It’ll be like taking your shaver out of the box for the first time all over again. It’s a bit harder to maintain the shaver without the shaving system, but on the other hand, you won’t have to buy cleaning solutions every few months, either. 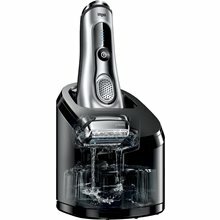 Most of the Braun shavers come with a brush that will remove hair if it’s not a wet/dry option. Others you can rinse under the faucet to get them clean. Is It Worth Upgrading to a Series 9? 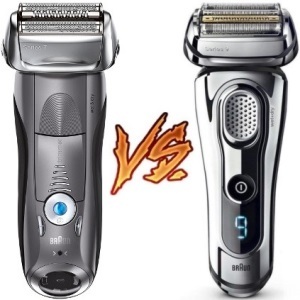 The option of upgrading will depend on the shaver you currently own. If you have a Series 7 with a cleansing station, you might upgrade to a Series 9 with a cleansing station. It might be a hard adjustment if you upgrade to a 9 without it. The Series 9 has advancements in all its technology. While you might have the same cutting elements in a Series 9 and a 7, they’re light-years apart. Everything available for the Series 9 is an improvement over a Series 7 from the amount of the cutting elements to the 10-D movement, the LED display, the precision trimmer, and the Sonic Technology. It’s our recommendation that you find the options that will make your life easier and choose the Series 9 that provides those options. If you need one with a travel lock, find the Series 9 that has the lock. Each Series 9 is a complete advancement over the Series 7 that it might resemble. The comparison between models gives you some with cleansing stations and others without. For the most part, the Series 9 upgrades make them a good choice for anyone who wants to get a closer shave. There are more cutting elements, and advanced technology. Between the high-contour flexible heads and the 40,000 cross-cutting actions, you’re getting better technology with the Series 9. 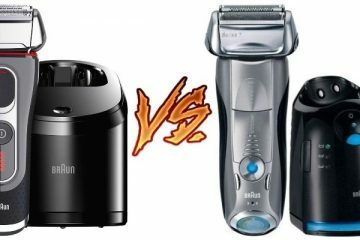 Braun Series 3 vs Series 5: Should You Upgrade?